08/01/11 -- Egypt, the world's largest wheat buyer, announced that it bought 175,000 MT of soft wheat for March shipment over the weekend. Despite a freight advantage French wheat was outpriced by two 60,000 MT cargoes of Australian wheat sold by Cargill at USD313/tonne and USD317/tonne. The bent as a nine-bob note North African's also booked 55,000 MT of US wheat at a cent under USD317/tonne. French wheat was priced around USD335-340/tonne. The EU market may react with mild disappointment to the news when it re-opens on Monday. However EU wheat doesn't really need to compete at the moment, given the pace of export during the first half of the marketing year. 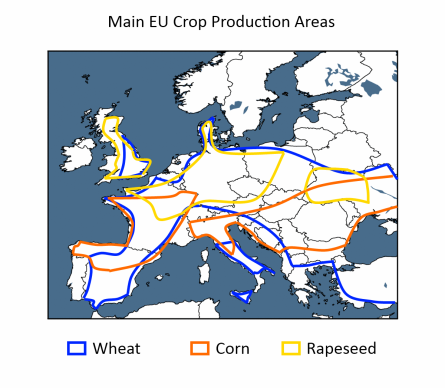 In addition, smaller consignments of EU wheat will continue to find homes amongst other North African buyers in 2011. 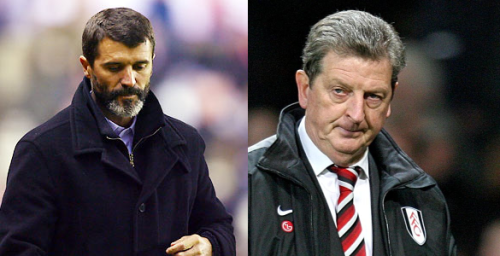 You Roy ,You Too Roy, You Two Roys, Do One You Two, You Two Roys Bye, Eh? 08/01/11 -- As Dexy's Midnight Runners would say. It took me at least thirty seconds to think that one up. I do however have to confess to feeling kind of deflated today. Deflated that unfortunately neither of their wives are called Eileen, which is a shame as they could have been in for a pearl necklace out of their hubby's redundancy money tonight. Still, least said soonest mended eh? Jan 11 soybeans closed at USD13.57 3/4, down 11 3/4 cents; Jan 11 soybean meal closed at USD359.10, down USD6.10; Jan 11 soybean oil closed at 56.35, down 55 points. Fund rebalancing was the name of the game today, whether they will be back in the market next week to redress some of that and attempt to make another fast buck out of agri-commodities remains to be seen. Argentine weather improvements and nervousness ahead of Wednesday's USDA report may be sufficient to get some more spec money off the table. Mar 11 corn closed at USD5.95, down 7 cents; May 11 corn closed at USD6.03 3/4, down 7 cents. Corn was down for the 4th session in five this week. Fund rebalancing is expected to be a major factor, with them supposed to have sold an estimated 10,000 contracts today. Dollar strength and nervousness ahead of next week's USDA reports kept the market on the defensive. Mar 11 CBOT wheat closed at USD7.74, down 15 cents; Mar 11 KCBT wheat closed at USD8.46 1/4, down 12 1/4 cents; Mar 11 MGEX wheat closed at USD8.70 3/4, down 13 cents. In China Henan province has apparently suffered the lowest amount of rainfall for the last quarter or any year since 1961. Productive precipitation is predicted in US hard red winter wheat areas this weekend, say Martell Crop Projections. 07/01/11 -- Jan London wheat closed GBP1.15 lower at GBP195.60/tonne, with Nov GBP2.40 easier at GBP168.60/tonne. Jan Paris wheat fell EUR1.75 to EUR256.00/tonne, whilst new crop Nov declined EUR1.25 to EUR226.50/tonne. EU wheat succumbed to a general broad-based agri-commodity sell-off on ideas that funds are about to start recalibrating their positions over the next five trading US sessions. Latest estimates indicate that 35,000 lots of corn, 10,000 of soybeans and 20,000 of wheat may be sold by index funds during this period. In round figures that's around 9 MMT of those three commodities combined. Clearly sales of that sort of magnitude could cause the market to have a little wobble at the very least. The threat of the USDA having another shock up it's sleeve in next week's January crop production reports seems to also be encouraging some long liquidation as traders book profits. The pound rose above 1.20 against the euro for the first time since mid-September, causing London wheat to post larger declines than it's cross Channel neighbour. Brussels reported that only 72,000 MT of soft wheat export licences were granted this past week. 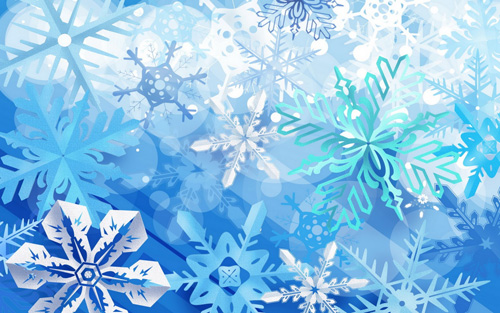 Whether that was due to seasonal factors or price rationing demand remains to be seen. Algeria bought 350,000 MT of optional origin milling wheat, adding to yesterday's Tunisian purchase of 100,000 MT, perhaps indicating that price hasn't rationed demand too much yet. An incredibly dry winter is evolving in the North China Plain winter wheat area, say Martell Crop Projections. Many parts of Henan province have seen no rain at all since late September. 07/01/11 -- Germany's agricultural ministry has announced the temporary closure of over 4,700 farms suspected of unwittingly using animal feed which may contain dioxin contamination. German Agriculture Minister Ilse Aigner said that the indications are that a "high level of illegal activity" had been involved. 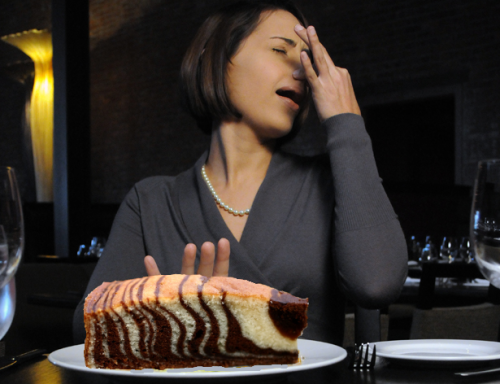 Twenty-five German feed manufacturers are said to have been supplied with "up to" 3,000 MT of contaminated fatty acids - which were only meant for industrial use. The subsequently manufactured compound feed was then delivered mostly to pig and poultry farms. Eggs from some of the suspect farms were exported to the Netherlands. These were then subsequently mixed with non-contaminated eggs to produce pasteurised liquid egg, an ingredient used widely in the manufacturer of cakes, say the Food Standards Agency here. Some of this liquid egg product was then supplied to two UK manufacturers of cakes and quiches, which were then supplied to several major UK supermarkets. As real men don't eat quiche then I'm not likely to be under any immediate threat. Of course, you will already know of my famed strict fitness regime, which consequently rules out the cake risk. 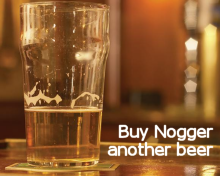 The government have stressed that the lager contamination threat is officially classed as zero. Phew. 07/01/11 -- Latest guide prices for EU rapemeal. 07/01/11 -- The overnights closed lower pressured by anticipated fund reweighting of contracts expected to start today. Beans finished around 8-12c lower, with corn down 3-4c and wheat generally 7-8c easier. On the week so far we see March CBOT wheat down 5 1/4 cents, March corn down 27 cents and March beans down 25 cents. It looks like long liquidation will be adding to those losses tonight. Dollar strength and nervousness ahead of next week's USDA reports may also add some downside pressure. So too may generally cooler and wetter forecasts for Argentina. 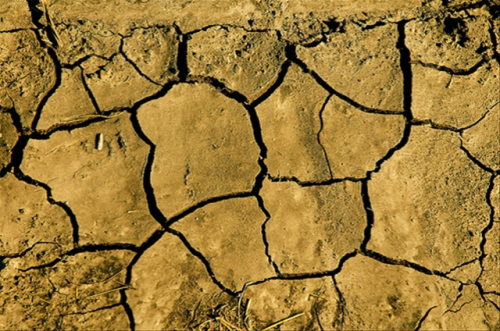 China's Henan province remains very dry, with large parts of this wheat growing province reportedly having seen no rain since September, and the entire region getting 86% less rainfall in the last quarter of 2010 than in the same period twelve months previously. The Chinese sold most of the rapeseed oil on offer at today's government sponsored auction. 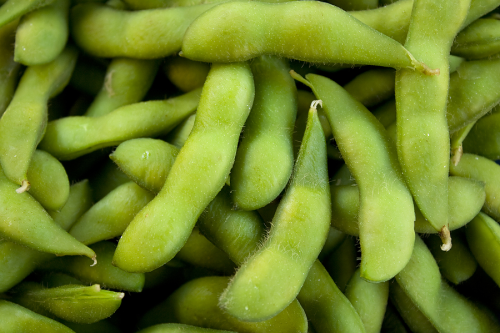 The USDA have today reported the sale of 180,000 MT of US soybeans to China for 2010/11 delivery. Early calls for this afternoon's CBOT session: Beans down 7 to 10 cents, corn down 3 to 4 cents, and wheat down 6 to 8 cents. Jan 11 soybeans closed at USD13.69 1/2, down 16 1/2 cents; Jan 11 soybean meal closed at USD365.20, down USD4.10; Jan 11 soybean oil closed at 56.90, down 35 points. It was time to take some money off the table, although it has to be said that under the circumstances beans fared quite well really. 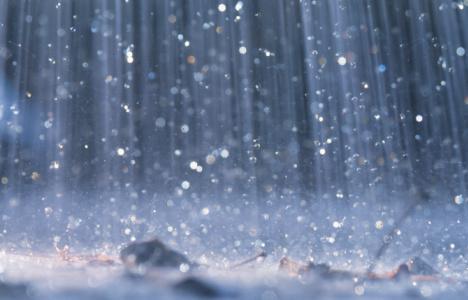 The Argentine weather forecast is turning wetter and cooler. Informa Economics held onto their Argie bean production forecast of 52.8 MMT, 0.8 MMT higher than the USDA and fully 4.8 MMT more than recent private forecasts from Michael Cordonnier earlier this week. Mar 11 corn closed at USD6.02, down 17 1/4 cents; May 11 corn closed at USD6.10 3/4, down 16 3/4 cents. Weekly export sales of 369,000 MT were below trade expectations. A strong US dollar and crude oil ending down more than USD2/barrel were also bearish influences for corn. Informa raised their Chinese corn production estimate to 172.5 MMT, and although they lowered their Argentine production estimate, at 23.75 MMT it was still well above other recent trade forecasts. Funds sold an estimated 15,000 contracts on the day. Mar 11 CBOT wheat closed at USD7.89, down 19 1/4 cents; Mar 11 KCBT wheat closed at USD8.58 1/2, down 14 3/4 cents; Mar 11 MGEX wheat closed at USD8.83 3/4, down 15 1/4 cents. Quality wheat like that traded on KCBT continues to widen the gap over mid protein wheat like CBOT, today reaching it's widest level yet at 69 1/2 cents. Informa pegged Australian production at 26 MMT and upped Argentine output to 15 MMT. Weekly export sales were pretty good at 464,700 MT. US wheat remains at risk from winterkill with seriously cold temperatures in store for early next week. 06/01/11 -- EU wheat futures closed mixed Thursday. London wheat finished with Jan down GBP1.25 to GBP196.75/tonne and Nov was GBP0.95 higher at GBP171.00/tonne. Paris wheat saw soon to expire Jan up EUR1.25 at EUR257.75/tonne and Nov EUR1.750higher at EUR227.75/tonne. Paris wheat was aided by a weak euro, which slipped close to 1.19 against the pound, it's worst in 3 1/2 weeks. Chicago grains fell on talk of fund selling and profit-taking ahead of next week's crucial USDA reports on global supply and demand, US production for corn and soybeans, winter wheat plantings and quarterly grain stocks. UK consumers remain nervous and certainly haven't stopped buying wheat even at these levels, although a more hand-to-mouth approach generally seems to have been adopted for now. They are certainly conscious however that coverage past March/April is light, and given the expected tightness in old crop availability by then will perhaps be reluctant to leave too much covering-in to the last minute there. Tunisia were in the market today, booking 100,000 MT of optional origin wheat and 25,000 MT of barley. Informa Economics pegged this season's Australian wheat crop at a near record 26 MMT. The market seems to be waking up to the idea that despite the widely reported problems, rain does indeed make grain. It might not always make very good quality grain, but it normally makes up for it in terms of volume. They will likely be aggressive marketeers of feed wheat into Asia and beyond in 2011, although the strength of the Aussie dollar won't help. 06/01/11 -- The overnight grains were mostly lower with beans and corn down 1-2c and wheat 5-7c lower. Crude oil is flirting either side of USD90/barrel and the US dollar is a bit firmer. No huge amounts of fresh news today, although reports continue to circulate of potential heavy fund selling as part of their "rebalancing" act starting Friday. Concern for winterkill potential in the US seems to be growing, with a very cold air mass likely to push as far south as Kansas and Oklahoma by the early part of next week. Conflicting reports continue to come out of Australia with regards wheat quality there, although few now seem to doubt that they have at least got the quantity side of the equation right. Argentine corn potential already looks to have been compromised with many estimates now around the 20 MMT mark from 25/26 MMT a month or two ago. Some analysts are now downgrading soybean forecasts too. Weekly export sales from the USDA were decent for wheat, OK-ish for beans and poor for corn, but it was a holiday week so maybe we shouldn't read too much into those. Palm oil is fully steady, having hit 34 month highs earlier in the week. Beans, corn and wheat are all close to very recent 28/29 month highs too at these levels, so some profit-taking may be in order ahead of next week's USDA reports. Early calls for this afternoon's CBOT session: beans and corn 2-3c lower, wheat down 5-7c. 06/01/11 -- USDA weekly export sales for the period Dec 24-30 were generally a bit disappointing compared with trade expectations, although wheat was in line. Soybean sales were towards the low end of trade ideas and corn was below expectations. For beans, once again the majority of the sales - 489,600 MT - were for China, although there were also decreases of 215,300 MT to unknown destinations. Are We Only One Disaster Away From Disaster? 06/01/11 -- Winter wheat conditions in the US are giving plenty of cause for concern, with the world looking to America to make up for Russia's unintentional shortcomings last year with a strong performance in 2011. Could we be just one more disaster away from a really BIG disaster? Certainly US farmers have done their bit, encouraged by rising wheat prices to up their winter plantings by 12-14%, according to Allendale/Farm Futures Magazine. It's the condition of these 42 million acres that is now giving cause for concern. 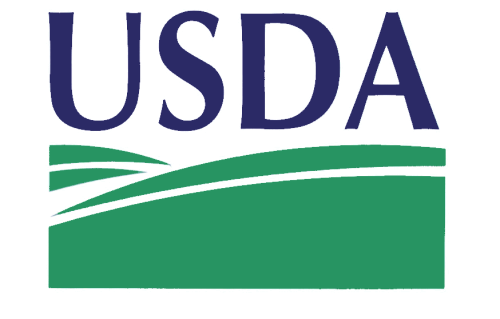 The USDA have stopped giving weekly condition ratings, as is customary at this time of year. In their last report at the end of November they pegged national all wheat crop conditions at only 47% good/excellent, a whopping 16 points below where things were twelve months previously. Hard red winter wheat, of the type grown in the top wheat producing state of Kansas and which comprises nearly 60% of all US winter wheat, was rated 42% just good/excellent nationally, 39% fair and 19% poor/very poor back then. A survey out by the Kansas Agricultural Statistics Service this week now pegs good/excellent conditions in the state at only 27% as at the end of December, with poor/very poor ratings having climbed to 33%. 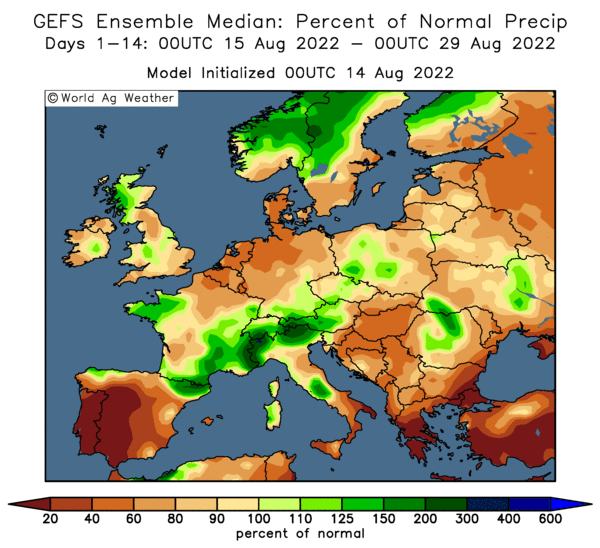 This deterioration has largely been due to persistent dryness, with the state only getting 68% of normal rainfall October/December, according to Martell Crop Projections. Mercifully, relatively mild December temperatures have largely spared the crop - much of it unprotected by a blanket of snow - from significant winterkill damage. Up until now that is. By the early part of next week however very cold polar air is forecast to push into central areas of the US, including Kansas, and by Tuesday January 11 the minimum temperature outlook is very cold indeed with temperatures some 10-20°F below normal. 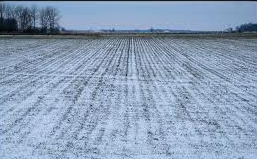 Unless unprotected Kansas gets a beneficial snowfall before then, things could easily go from bad to a whole lot worse for the state's wheat growers. And that could knock another chunk off the global production bottom line, one that is already 20 MMT behind projected consumption in 2010/11. 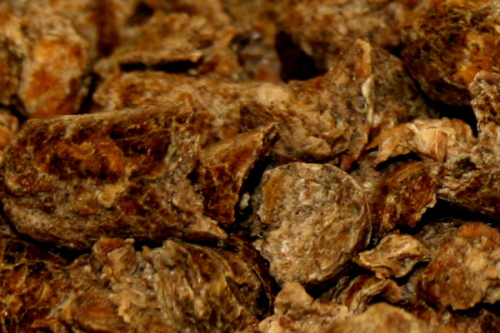 06/01/11 -- Resale offers worth a look today include spot citrus pellets, soya hulls and rapemeal ex Liverpool. Also spot corn gluten feed and hipro soya ex Avon, and spot rapemeal ex Erith. 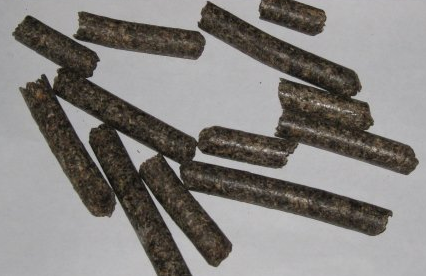 Might have a few loads of maxibeet and/or supaflow sugar beet pulp pellets left for Feb/Apr also. POA. PDQ. ETC. 06/01/11 -- Latest guide prices for EU rapemeal. Read the full stories at Martell Crop Projections where for just USD500 per year you will receive top-notch analysis and extraordinary graphics that enhance understanding. Mention my name and you might even get a discount! March soybeans rose 24c to USD13.93 1/2 a bushel; March soymeal ended up USD5.20 at USD373.00; March soyoil jumped 91 points to 57.76. Beans quickly turned around from early weakness on continued uncertainty over Argentine production prospects. Meanwhile Brazil forecasts are turning dry in the southern soybean states with mid 90s F yesterday in Mato Grosso, say Martell Crop Projections. The world seems ill-placed for any serious supply problems this year. Weekly export sales estimates for tomorrow's USDA report range from 400 TMT to 1,050 MMT. March corn was up 10 3/4 cents to USD6.19 1/4 a bushel; March corn alos closed up 10 3/4 cents at USD6.27 1/2 a bushel. Corn followed beans higher on Argentine weather woes. Irreparable damage is in fact more likely to have been done to corn than beans. Trade estimates for tomorrow's USDA weekly export sales report range from 400 to 800 thousand MT. Fertilizer producer Mosaic say that US farmers will plant 92-93 million acres of corn this spring, if so that is a massive increase on the 88.2 million acres planted in 2010.
CBOT March wheat closed up 19c at USD8.08 1/4 a bushel; KCBT March wheat rose 24c to USD8.73 1/4; MGEX March wheat was 22 3/4c higher at USD8.99. Wheat rose on spillover support from beans. Unseasonably mild temperatures will be seen through until Friday, then the coldest air of the season will move across the US Plains, say QT Weather. Next Wednesday, temperatures will be 20 degrees below normal from Montana to Nebraska, and 8 to 12 degrees below normal in Eastern Colorado and Kansas, they add. Weekly export sales out tomorrow are estimated at 200 to 500 thousand MT. 05/01/11 -- Jan London wheat closed GBP2.25 lower at GBP198.00/tonne, with Nov GBP0.70 easier at GBP170.05/tonne. Jan Paris wheat rose EUR3.00 at EUR256.50/tonne, whilst new crop Nov climbed EUR2.00 to EUR226.00/tonne. It was a topsy-turvy day with French wheat lower for most of the day in sympathy with the overnight Globex market for US wheat. Early calls for a sell-off in US wheat and other agri-commodities appeared to be coming true shortly after America opened, although an abrupt turnaround late into EU trading hours turned the market on it's head. That about face came a little too late to influence London markets however, which may again end up playing catch up in the morning. Crude oil was languishing around the USD88-88.50/barrel mark for much of the day but pushed back above USD90/barrel late on in a broad-based commodity recovery. The US dollar was higher against the euro, aiding the recovery of Parisian wheat. Tender activity from Algeria and Tunisia was also seen as supportive. Weather forecasts for Argentina are fluctuating by the day, although the trade seems generally convinced that some crop losses to pollinating corn have occurred. Analysts are divided though on how bad the damage has been. Heavy rainfall is now predicted in southernmost growing areas, although the outlook remains hot and dry in the north. Elsewhere frigid temperatures keep a grip on huge area of Asia, Russia Siberia, Kazakhstan, and Western & Northern China at 35 to 40 F below zero, according to Martell Crop Projections. 05/01/11 -- The overnights closed lower pressured by outside influences with crude oil lower and the dollar firmer on better than expected jobs data. Beans closed around 5-7c lower, with corn down 6-7c and wheat 10-12c easier. The funds seem to be gearing up to sell grains starting Friday in what many of the newswires are calling "rebalancing" of positions to start the year. That is encouraging some of the smaller players to get out now, bank profits and sit on their hands for a few days. The fundamentals haven't changed a lot, you could even say they've maybe worsened this past few days with both the Argentine bean and corn crops being revised lower by private analysts. Certainly weather conditions in Australia haven't improved either. Concerns still remain for US wheat on the Plains too. The USDA are out next week with their latest revised WASDE and stocks numbers, plus winter wheat plantings. There's a fair bit of curve ball potential there, and that also may be encouraging some money exiting the market. 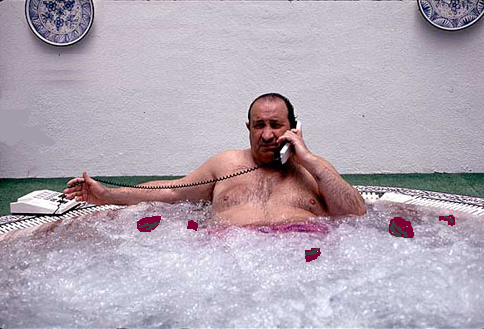 Before that we've got the USDA's first weekly export sales report of 2011 due before the opening tomorrow. That could be a fairly subdued affair given that the period covered will be the week between Christmas and New Year. Looks like we could be going lower in the short-term ahead of next week's report. Don't be surprised though to see excessive weakness viewed as a buying opportunity, and all bets could be off again if the USDA throw in a shock or two next week. Let's face it they have form in this department. In last year's January report they raised US corn production for 2009 when everybody was expecting a drop. Corn subsequently closed limit down. 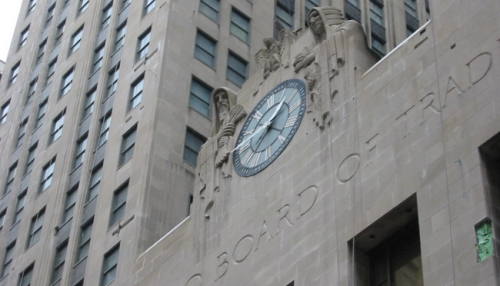 Early calls for this afternoon's CBOT session: Corn 5-7 cents lower, soybeans 5-7 cents lower, and wheat 10-12 cents lower. 05/01/11 -- Latest guide prices for EU rapemeal. 05/01/11 -- Got an odd load or two of 6mm Maxibeet sugar beet pulp pellets available on resale for Jan and/or Jan/Apr if you're quick. Bought basis deld into the NW but may be able to switch to other locations. POA. ASAP. UPDATE 4.30PM: NOW ALL SOLD ON THE JAN.
05/01/11 -- Wheat and corn are down on the overnight Globex market, and beans (were but aren't any more) slightly firmer. Leading South American analyst Michael Cardonnier has cut his Argentine soybean production estimate to 45 MMT from 48 MMT just a week ago, and now fully 7 MMT less than the traditionally slow to react USDA. Meanwhile the corn crop there seems to be shrinking rapidly too. The Rosario Grain Exchange now estimate it at 21.3 MMT, a report on Reuters today citing an Ag Ministry official pegs down to 20 MMT, and Michael Cardonnier now says 19.5 MMT. That's a sharp drop on early season hopes for a crop of 26 MMT and the USDA's latest estimate of 25 MMT. Those lovable scamps at the USDA get to reveal their latest Argie crop estimates with the release of their WASDE report next Wednesday. Get your finger out Tibbs. Phnaargh, phnaargh. Farm Futures Magazine report in their survey into 2011 US planting intentions - corn at 89.93 million acres (from 88.222 million in 2010), and beans at 77.42 million acres (from 77.714 million). They also see winter wheat area up 14% to 42.37 million acres. Combined winter and spring wheat acreage may total 59.22 million, up more than 10% from 53.6 million in 2010, they say. FoodChina say that 2010 wheat output in the country was 112.8 MMT and that will rise to 115.8 MMT in 2011. Yeah, right, steady as you go lads. I'm expecting a knock on the door from the Triads at any minute. Mind you I don't suppose that they do actually knock on the door when they come round do they? In Ukraine winter wheat is rated 56.5% good to excellent, 37.1% good, and only 6.3% poor which is quite a bit better than twelve months ago. Eyeing ever increasing world grain prices, Belarus says that it will increase agricultural production by 7-8% in 2011. Aggressive early season exporters Bulgaria may now need to import wheat this season for the first time since 2004, according to the head of the nation's Union of Millers. Sound familiar? The cost of a loaf of bread in the UK is set to rise, the FT shockingly reveals today (here). Didn't see that one coming did we? Jan 11 soybeans closed at USD13.61, down 9 1/4 cents; Jan 11 soybean meal closed at USD364.70, down USD1.00; Jan 11 soybean oil closed at 56.33, down 76 points. 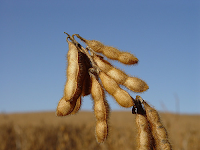 A survey by Farm Futures Magazine pegs the final 2010 US soybean crop at 3.392 billion bu on a 44.6 bpa yield. That's higher than the December USDA said estimates of 3.375 billion bu on a 44.0 bpa yield. The stronger US dollar contributed to long funds selling an estimated 6,000 bean contracts on the day. Mar 11 corn closed at USD6.08 1/2, down 12 cents; May 11 corn closed at USD6.16 3/4, down 11 3/4 cents. Crude oil fell the best part of USD2.50/barrel, slipping back below USD90/barrel and the dollar was firmer, adding negative sentiment. Profit-taking from recent 29-month highs was probably also a feature as funds were said to have sold in excess of 10,000 contracts today. 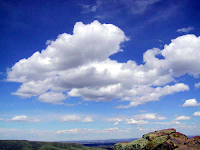 An improved rain outlook for SW Argentina also helped encourage long liquidation. Mar 11 CBOT wheat closed at USD7.89 1/4, down 16 1/4 cents; Mar 11 KCBT wheat closed at USD8.49 1/4, down 13 3/4 cents; Mar 11 MGEX Wheat closed at USD8.76 1/4, down 12 3/4 cents. The strong dollar and weaker outside markets encourage profit-taking from recent 28-month highs. Premium quality wheats on MGEX and KCBT fell less than their CBOT cousin on reports that maybe half of Australia's wheat crop might not cut the mustard as milling wheat. 04/01/11 -- EU wheat futures closed mixed Tuesday. London wheat was mostly higher playing catch up from Monday's closure with Jan up GBP1.25 to GBP200.25/tonne and Nov GBP0.25 higher at GBP170.75/tonne. Conversely Paris wheat was lower with soon to expire Jan down EUR3.50 at EUR253.50/tonne and Nov EUR4.50 lower at EUR224.00/tonne. Paris wheat was under pressure as the euro climbed to a 3-week high against the US dollar, and also in sympathy will a lower US market, retreating from yesterday's 28-month highs. Profit-taking kicked in this afternoon in the US market after recent strong gains, encouraged by crude oil suddenly slumping by almost USD2.50/barrel to levels back below the USD90/barrel mark. In London May opened at an intraday and all time contract high of GBP207.50/tonne before falling back to close at GBP204.00/tonne, GBP1.00 lower on the day. Fundamentally though little has changed. Weather problems persist for wheat in Australia, Russia, China, North Africa and the US. Meanwhile demand stays strong wit Turkey today announcing it's intention to buy 300,000 MT of wheat on the international stage. The weather situation in Australia just keeps getting worse. Three separate areas of Eastern Australia saw La Nina rains reach 4 times normal levels in December, according to QT Weather. The next 3-4 days will see heavy rains continue over SE Queensland, they add. 04/01/11 -- The overnight grains were mixed with beans around 2-3c higher, and corn & wheat down 1-2c. Crude oil is slightly firmer and the dollar a bit weaker. Fresh news is somewhat limited. Some rain overnight in Argentina was reported, with the possibility of heavier rains later this week. Temperatures are also seen cooler than of late. Too much rain remains the problem in Australia. Quantity doesn't look like being an issue in the east, but quality and logistical problems do. Falling livestock numbers due to foot & mouth and bird flu, along with rising feed prices may be curbing feed demand in South Korea, according to some reports. Weekly export inspections from the USDA yesterday were pretty disappointing, although seasonal factors may have been at least partially to blame. A survey by Farm Futures Magazine pegs the final 2010 US corn crop at 12.406 billion bushels with a 153.2 bpa yield; bean output is seen at 3.392 billion bu on a 44.6 bpa yield. In December the USDA said that corn production was 12.539 billion bushels using a yield of 154.3 bpa. Soybean output was 3.375 billion bu on a 44.0 bpa yield. Early calls for this afternoon's CBOT session: Corn 1-2 cents lower, soybeans 3-5 cents higher, and wheat 1-2 cents lower. 04/01/11 -- A quick spin around the nation's environmentally friendly planet-saving fledgling bioethanol industry reveals that all is still far from well. After causing uproar in the Redcar area, with local residents complaining of nausea (Huey Green - geddit?) and all other manner of medical complaints, Wilton-based Ensus responded by doubling the height of it's steam stack in an effort to minimise the smell problem in July. All that has done is however is to spread the problem further afield, according to this report: Stench, from Laboratiore Garnier. The company intend an end of April shutdown when two regenerative thermal oxidisers will be installed to resolve the issue once and for all, they say. Further down the coast, under construction Vivergo are also now starting to come under fire as being maybe not quite as green as it says on the tin, according to this report: There's 50,000 artics in Saltend. 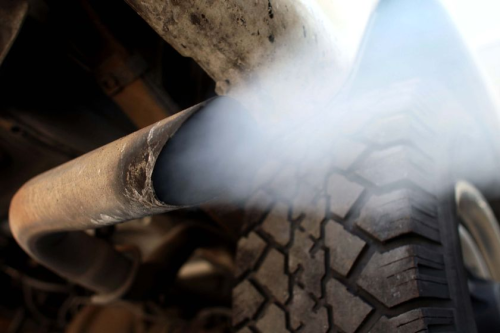 That report says that there will be 50,000 CO2 spewing lorries a year taking wheat into the plant, and that one of the only three roads in is "already in a state of near collapse". 04/01/11 -- Latest guide prices for EU rapemeal. March soybeans ended down 24c at USD13.79 a bushel; March soymeal was down USD4.90 to USD369.00; March soyoil fell 67 points to 57.70. Chances of rain in Argentina later in the week got beans off to a negative start for 2011. In overnight trade March beans set a new contract high of USD14.09 a bushel, but couldn't hold onto those gains. Weekly export inspections of 20.151 million bushels were disappointing, although spillover strength from wheat lent some support. March corn ended down 8 1/2 cents at USD6.20 1/2 a bushel; May corn ended down 8 cents at USD6.28 1/2 a bushel. Weekly export inspections of only 15.616 million bushels were half of what was expected. Funds were estimated to have sold between 7,000 and 8,000 contracts on the day. Chances of rain in Argentina later in the week also added some pressure to corn, although firmer wheat was supportive. CBOT March wheat ended up 11 1/4c to USD8.05 1/2 a bushel; KCBT March wheat closed up 12c at USD8.63; MGEX March wheat was 7 1/2c higher to USD8.89. Wheat fell somewhat from highs set earlier in the session as corn and soybeans declined. Flooding in Australia and EU wheat setting lifetime contract highs created a positive tone from the outset. Cold and dry conditions in the US also added support. Export inspections weren't great at 10.305 million bushels. 03/01/11 -- London wheat was closed today, although the French market was open ending with Jan Paris wheat up EUR4.50 at EUR257.00/tonne, whilst new crop Nov climbed EUR4.75 to EUR228.50/tonne. Paris wheat climbed to contract highs following more bad news emanating from Australia over the weekend where flooding problems are going from bad to worse. Although the wheat harvest in Queensland should be just about over heavy rains in NSW and Victoria continue to hamper growers attempts at getting the final quarter of the nation's wheat crop in. 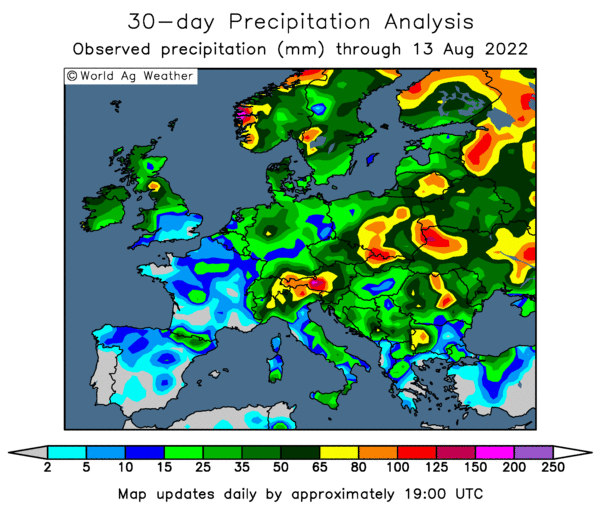 In addition further quality downgrades may be on the cards, and at the very least there are issues regarding logistics considering that the vast majority of this season's crop is in the soggy east. Australia is used to the parched west accounting for around 38-40% of the annual wheat crop, and the majority of it's exports too, and thus that is where much of the transportation infrastructure is located. This season production in WA is likely to only amount to 14-16% of national output. Egypt may need to import 400,000 MT more wheat in the 2010/11 marketing year than the USDA's current official estimate, according to the USDA’s Foreign Agricultural Service. Dollar strength, a surging US market and a strong freight advantage mean that EU wheat is still competitively priced on the world export stage. Paris rapeseed and corn also began 2011 posting lifetime contract highs today. 03/01/11 -- The overnights closed with beans 2-4c higher, corn up 3-4c and wheat leading the way 15-20c firmer. 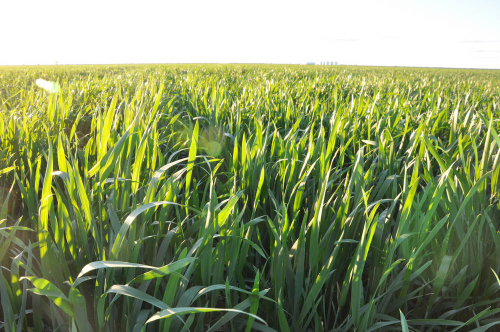 Wheat is gaining on a continuation of Australia's woes and ideas that quality material is getting more and more scarce. Crude oil is a bit firmer and the dollar also slightly steadier. Globex wheat easily broke through the psychologically important USD8/bushel mark, with front month March ending at USD8.15/bu. European wheat futures were sharply higher in Paris, also lending some support. Contract highs were also set by Paris corn and rapeseed. 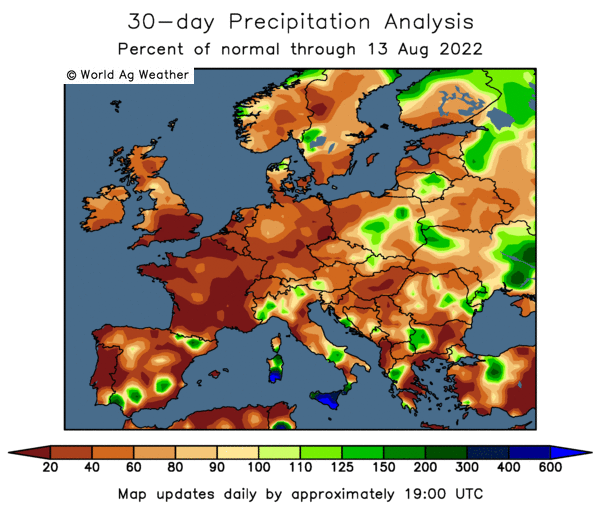 In Argentina, corn and soybean production is under threat from dry conditions, with the best chance of decent rains a week away yet, according to QT Weather. Wheat producing areas in northern China are also too dry, as indeed are parts of the US Plains, there is talk too of a severe cold snap threatening winterkill on unprotected winter wheat in the Midwest. Egypt may import 10.2 MMT of wheat in the 2010/11 marketing year, according to the USDA’s Foreign Agricultural Service. That's 400,000 MT more than the USDA's latest estimate. Beans and corn traded lower for much of the overnight session, but got dragged higher by wheat towards the close. 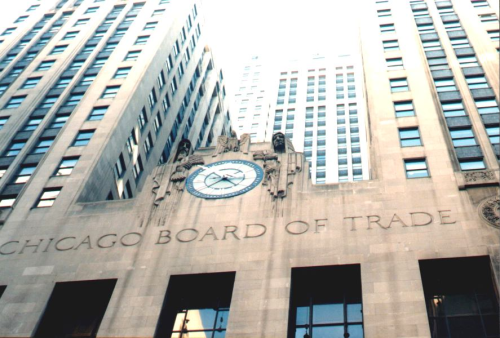 Early calls for this afternoon's first CBOT session of 2011: Wheat up 15-20c, corn up 2-4c, beans 1-3c higher. 03/01/11 -- Latest guide prices for EU rapemeal. 03/01/11 -- Paris grains have started the new year where they left the old one, with rapeseed leading the way sharply higher in early trade. 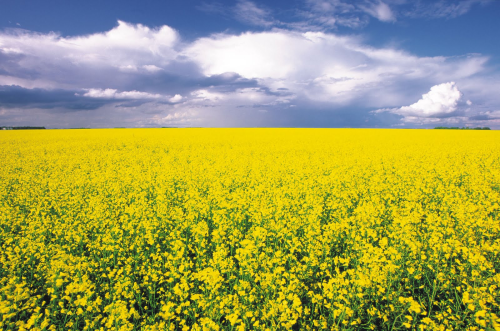 Front-month Feb rapeseed opened at EUR499/tonne, up EUR1.75/tonne, but easily broke through the EUR500/tonne barrier, quickly surging EUR6/tonne higher to a record EUR503.25/tonne. May followed suit, trading EUR8.50/tonne higher in early trade at EUR492.75/tonne, on ideas that there is no real fundamental reason why it should be around a hefty EUR10/tonne discount to Feb.
Paris wheat is around EUR2/tonne higher in early trade, encouraged by firmness in the overnight Globex wheat market, with corn an early follower - up around EUR2-3/tonne. 03/01/11 -- It might still be a day off for most people in the UK, but I frankly can't wait for things to get back to normal, so I'm hitting the ground running this morning. The normally work shy Americans have put in pretty much a full shift since Chicago was closed on Christmas Eve, and now have to wait all of a fortnight before their next public holiday, Martin Luther King Day on 17th of this month. Even the French are back to work today, although I'm sure that they've probably got a few nice little strikes lined up for later in the month. The overnight Globex market sees wheat trading around 6c higher this morning on what seems to be on the back of continued problems in Australia. I see that day one of the last test match in Sydney was disrupted by rain overnight with a 90 minute mid-session stoppage holding things up as the hosts managed 134-4 before a second and final interruption ended things. Heavy flooding in Queensland has probably just missed the last of the wheat harvest there, although at the very least it will certainly be causing logistical problems. It may also be causing damage to any grain left on farm. 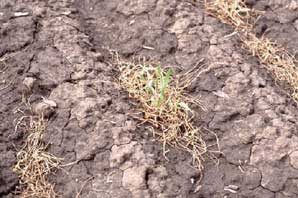 In the case of summer crops like sorghum and cotton, many fields in the state are now lying underwater. Further south the wheat and barley harvests are limping along in NSW and Victoria and it's likely to be the end of the month before cutting is completed. Reports are generally still of bumper yields but variable quality. Elsewhere rain is seen moving into Argentina from the south and west, although a lot of this much needed moisture is expected to fall on the western mountains before reaching central soybean and corn areas, say QT Weather. The best chance for wider rain coverage is Jan 9-10, they add. Other forecasts are calling for light to moderate showers further north in major producing areas like Cordoba tomorrow and again Friday, with temperatures generally 30-32C. India says it will sell off 2.5 MMT of it's wheat reserves onto the domestic market to attempt to curb rising prices. It will also sell 1 MMT of rice.